MOLD. This is one four-letter word you don’t want to hear or deal with if you are a homeowner or someone who has chronic allergies or asthma. However, unless you are proactive in your attempt to keep mold out of your home, then there is a good chance that you could find yourself needing to get rid of mold at one point or another in your life. This is because mold can grow almost anywhere. In fact, most types of mold only need a little bit of moisture and oxygen to grow. Ready to take action against mold? Here are a few common places for mold growth, some tips on how to prevent mold, and how MitiServe Restoration can help you get the levels of mold in your home back to normal. 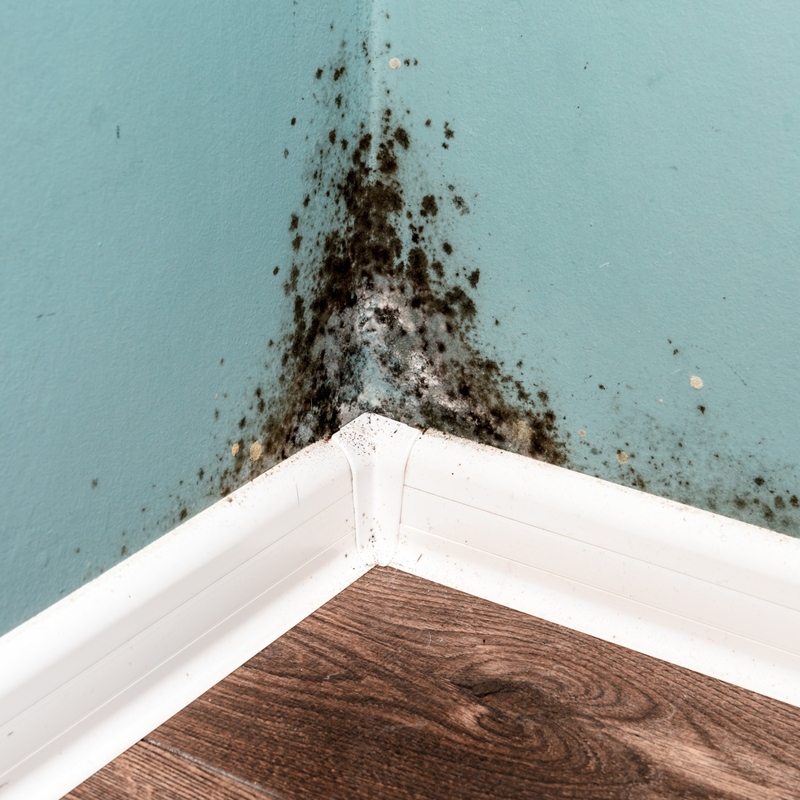 Because kitchens often have appliances and fixtures attached to water systems, these rooms are usually one of the most common places for mold. Under the sink - This is a popular place for mold due to the piping. All it takes is one small, slow, and steady leak to cause a problem. If you don’t use the area under the sink to store items, then you may not even notice the damage from water and potential mold growth until you have a big problem. Around the refrigerator and dishwasher - These two appliances use water. And where there is water, there is potential for a water leak. If you notice additional water around these appliances, act fast. The worst thing you can do is put it on a list to check out later. In the basement - Most people assume that basements are supposed to have that musty smell. Don’t fall into this trap. If you think that your basement is a breeding ground for mold, it’s important to have the issue looked at as it poses a serious risk to everyone living in the home. In the attic - If you have an attic, it is really important that you check it on a routine basis. Storms can cause loose shingles and rodents can claw holes. These openings give way for rainwater to come in. And without proper ventilation or being aware of what is going on, a rainy spring can wreak havoc on an attic space. Under the cabinets - Like the kitchen, it’s important to check the pipes under the cabinets in your bathroom for leaks. In and on the walls - The bathroom is constantly full of water and humidity due to how it is used on a daily basis. If the bathtub overflows or the sprayer gets out of control, make sure you dry up areas as soon as possible. It’s also a good idea to turn on the air vent. If you notice something off or hear funny sounds, don’t just Google it. Call in a plumber. Don’t allow your walls and foundation to be flooded by a burst or broken pipe. There are a few things you can do on a regular basis to keep mold from building up within your home. • Keep your home properly ventilated. • Turn on air vents when possible. • Keep your gutters cleaned and maintained. In the case of a flood or accidental water damage, don’t hesitate to call in the professionals. You may think that you are able to take care of the situation by mopping up excess water and “drying” it. However, just because you can’t see it, it doesn’t mean that it’s not there. Water hiding under floors and in walls can cause major damage and a lot of money in the long run. By taking measures to prevent mold growth, you lessen the chances that you may end up with severe mold damage in your home. However, there are places throughout your home that you may not be able to check or clean without the help of professionals such as your ventilation, chimney, inside walls, etc. This is where MitiServe Restoration takes command. Our team is IICRC certified in Mold/Microbial Remediation. With a mold assessment, we can find out exactly what type of mold we are dealing with and create a plan of action to get rid of the mold and get your home back to normal in the shortest amount of time possible. Whether the mold damage is from flooding or from other types of water leakage or water damage within your home, MitiServe Restoration has the tools and the experience to locate and resolve any issues you may have with mold in your home. In addition to our residential services, we also provide these same services to commercial clients. Don’t let your business get a bad reputation due to noticeable mold build-up and mold damage. If you have questions about our services, feel free to call us at 844-845-7314. We also have two locations, Harrison and Springdale, to help serve you better. Don’t wait. Give MitiServe Restoration a call today.